An Open Letter To Vendors | Shoot & Share | Helping Photographers Book More Clients. Original Post By: Matt Kennedy & The International Academy Of Wedding Photographers. They aim to provide photographers with comprehensive online training and standardization both on shooting and building their business so that they can provide a solid service to their clients. Awhile ago, we shot a gorgeous, high-end wedding where money wasn’t a hindrance. The day started at 8:30am and was long and exhausting. Later in the evening it was time for the reception and the guests sat down to begin their 3 hour plated dinner. We paced the floor trying to take photos of guests while they weren’t eating. My tummy started making noises as all I ate were a few granola bars throughout the day. We went to find our meal, but the vendor let us know that they only give the vendors one of the 7 courses and they would let us know when it was our turn. The hours went by, the stomach noises increased, and my energy was draining. Finally, by 9:15pm it was time for our small meal. We went to the back room where they placed us, only to find out it was time for the first dance! We had to leave our warm meal behind. We completely understand that the caterer’s first priority is the guests and the wedding party! The caterers have a huge job with timing of food and the work that is needed to serve several guests, however caterers like this are missing a big opportunity to work together with the wedding “team”! Vendors (including photographers) can choose to only serve their clients, or to serve their clients and the wedding team behind the wedding, allowing themselves to gain the love and respect of other people in the same industry and possibly even get referrals from it! Most of the time, situations like a caterer not serving the team in the best way possible is not because they are wanting to be mean or to starve them. It is simply not their priority (which makes complete sense) and they don’t understand things from the other perspective. TIP #1 – Caterers – feed the majority or all of the wedding team when the COUPLE eats. 1. It replenishes their energy for the rest of the reception. 2. No one wants pictures or videos of themselves eating. It isn’t attractive, so this is a dead time of the day for this team (same with other vendors like the DJ and planner). 3. Less chance of missing something important because couple is eating. When you feed the photographers or wedding team last, that is usually the same time the couple is done eating and is either going around greeting guests or speeches are starting, leaving us a few seconds to gobble our food or come back to it later when it is cold. TIP #2 – Photographers – If you expect caterers to feed you or decorators to refer you, share your work with them! Other industries don’t have the luxury of showcasing their work unless they use a blurry iPhone photo or the photographer takes the time to share the images with the person who also put a lot of time into creating an amazing day. Also, when someone does share their services with you whether it is photos, food or whatever, make sure you thank them! A lot of venues think that vendors benefit from being in a back staff room to eat their food in private, however when we are in a room far away from the reception, we can’t hear what is going on and may miss key moments. Ideally, a vendor table in the reception or an area close by allows the vendors to be close to the action, without having their gear spilled all over the table with other guests. TIP #4 – Photographers – Be on time as much as possible! As photographers, it can be tempting to spend just 10 more minutes at a killer photo spot, but if there are guests waiting for the bride and groom to arrive for dinner, people get impatient and it reflects badly on the photographer. Planners are also very particular about being on schedule or it can mess up the perfectly manicured order of events for the evening. Obviously some things are out of control and if that happens, try your best to give the planner or someone at the reception a heads up. TIP #5 – Planners & Coordinators, MC’s, DJ’s – when an event (like the first dance) is about start during the reception (or even the ceremony for that matter) try your best to let the whole wedding team know. We could be in another room shooting details, or in the restroom, and if they start the first dance we may totally miss the moment. The other day we were shooting at a wedding and the music didn’t change or anything and all of a sudden the groom was walking down the aisle with his mom. The more we can prevent those situations, the better it is for the team and especially the couple! TIP #6 – The WHOLE wedding team – try your best to stay out of the way of shots. It is obviously difficult to always know where video and photographers are shooting, and after all, you are part of the whole wedding experience, but sometimes planners may be poking in the doorway as the bride is coming down the aisle photobombing some of the crucial shots of the day. Then there are the videographers…..they are getting paid by the couple to get great shots, same with the photographers. Everyone is on the same team. It is inevitable that the photo and video team will get in each other’s ways at times; however, do your best to not get too close to the couple so you are in the others shot a lot and try to take turns. For example, if the photographer needs a wide shot of the ceremony, then if the videographer can move their tripod in the center aisle for that one moment, that can be helpful. Remember to be as friendly as possible. TIP #7 – Officiants – please move BEFORE the first kiss! A lot of officiants are getting good at announcing the kiss and then stepping off to the side, but what is even better is standing off to the side, then announcing the kiss as what a lot of officiants don’t realize is sometimes the kisses are short and the photo we have is the couple kissing with the officiant in the background trying to sneak off to the side. Not the best photobomb! It actually makes you look disinterested, and it would look much better for you to be in the photo off to the side smiling and clapping like everyone else is. You’re allowed to celebrate the fact that they’re kissing! TIP #8 – Be encouraging to the other vendors. Remember whether you want to work again with these people or not, you want them to love working with you! Encourage the other vendors, letting them know how good of a job they are doing. We are all working together to make this the very best day possible for the two that just became husband and wife. TIP #9 – Make connections! A wedding is a great opportunity to network with other people that share the same type of clients. Find ways to stand out and be helpful to the other people on the “wedding team” whether it is offering to get them a drink, holding a door for them as they try and move in their equipment, or just simply being the first to say “hello”! Also, it isn’t ONLY the wedding day that you have the opportunity to connect with these people. 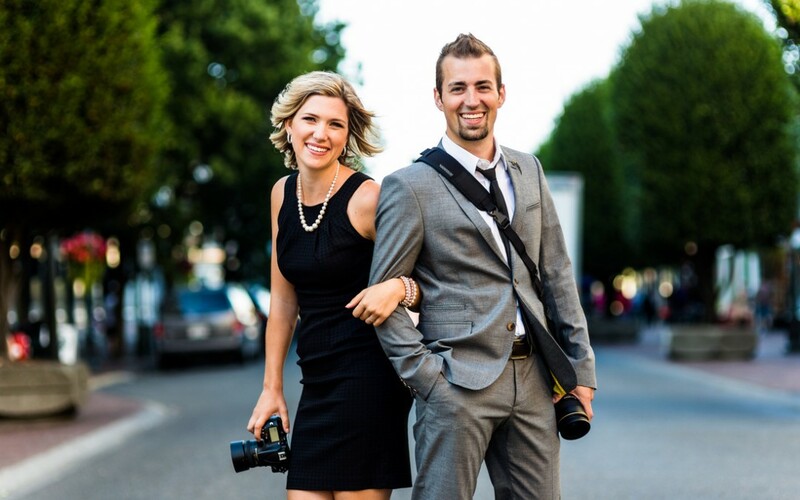 You can email them a few days before to introduce yourself and let them know how excited you are to work with them, as well as after the wedding to let them know that you have sneak peaks up or a wedding blog featuring some of their great work! We’re so excited to see the whole wedding team implement some of these tips so that we can all start working even better together and serving each other well, ultimately making our clients experience THAT much better!!! Do YOU have anything else to add to our list? Leave a comment with the things you wish other vendors knew!!! The International Academy of Wedding Photographers takes the utmost care in delivering the highest level of practical online education for wedding and portrait photographers. We aim to provide photographers with comprehensive online training and standardization both on shooting and building their business so that they can provide a solid service to their clients. They will learn from current and successful photographers and educators on how to run a thriving photography business. Get more info here or become a shareholder today to get 4 free classes here!